Exploring the Highlights of Rome with The Roman Guy - Holy Smithereens! “Rome is not like any other city. It’s a big museum, a living room that shall be crossed on one’s tiptoes.” – Alberto Sordi, Italian film director and actor. Rome is a city that you simply cannot just visit once. One day I will create my own quote about Rome. I haven’t quite composed it fully but it will go along the lines of, “Going to Rome is like eating Pringles. Once you pop, you can’t stop…”, or something just as deep and insightful. 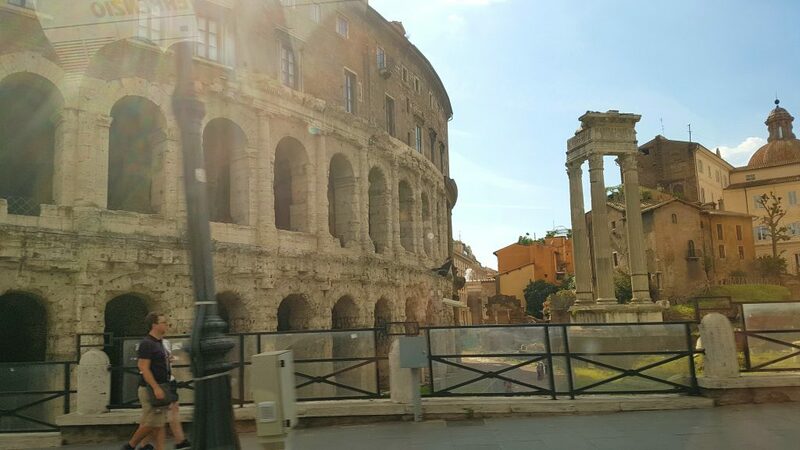 My first two visits to Rome were just quick trips so it was a good mix of Rome highlights (Colosseum at night, Vespa tour around Rome, Vatican, etc). But I found that I still haven’t seen everything there is to see in the eternal city, and each visit made me feel as if I’m seeing Rome for the very first time. So on this third visit to Rome, I decided to go on a proper Rome highlights tour with The Roman Guy. I’ve been on a food tour with The Roman Guy a couple of years ago and it was one of the most memorable experiences I’ve had in Rome. I learned so much about how Roman culture and history has been defined by food, and I also got to have my tummy filled along the way. 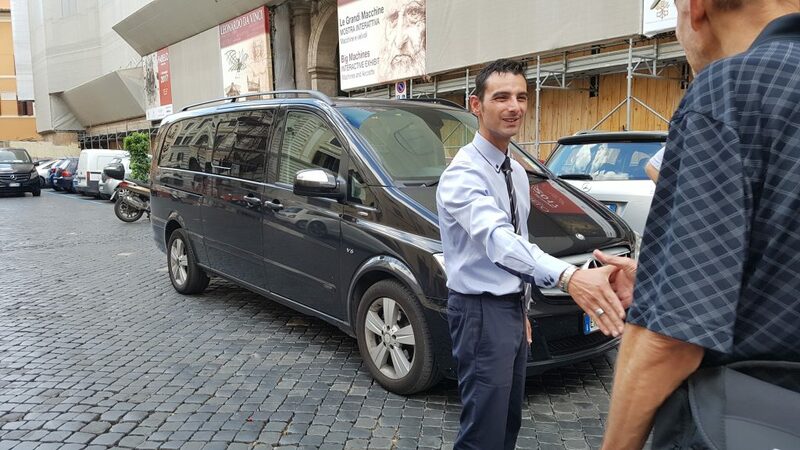 So this time, the tour I chose to go with The Roman Guy was “Best of Rome Driving and Walking Tour”. This tour begins with a 1-hour walking tour, followed by 2 hours touring Rome in an air-conditioned vehicle. 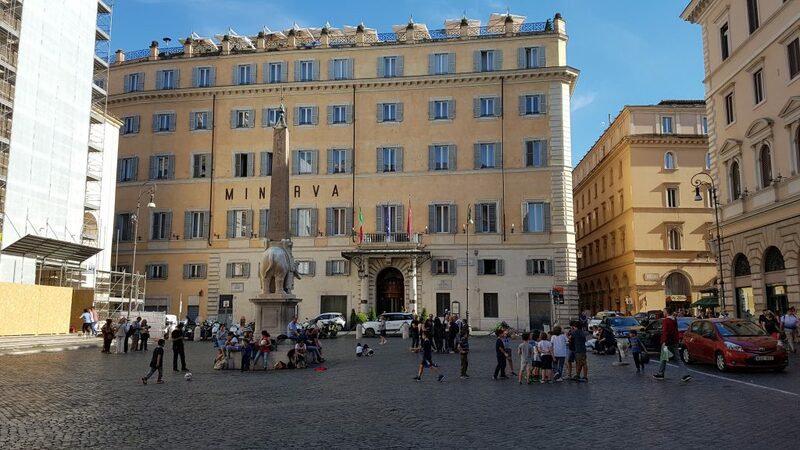 The meeting point of our tour was at Piazza della Minerva, by the Elephant and Obelisk sculpture. We met our group at 14:30 (2:30 pm) and it was quite easy to spot our guide Michele, holding up a “The Roman Guy” sign. We were a small group of seven, and from the Piazza della Minerve, we made the short 2-minute walk to the Pantheon, the first highlight of our tour. At the moment, entrance to the Pantheon is free. But try doing that in Rome now, and you will most likely get caught in the crowds and not really know where to look, or know what you’re looking at. I really felt the advantage of being in a guided tour when our small group entered the Pantheon. 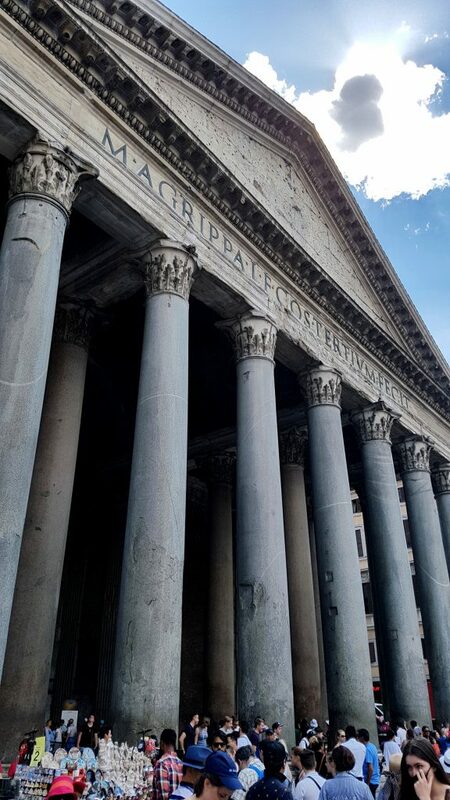 Your eyes will wander inside the opulent Pantheon but our guide Michele knew the highlights inside (such as the Oculus, the only source of natural light inside the Pantheon), and Raphael’s tomb, among many others. 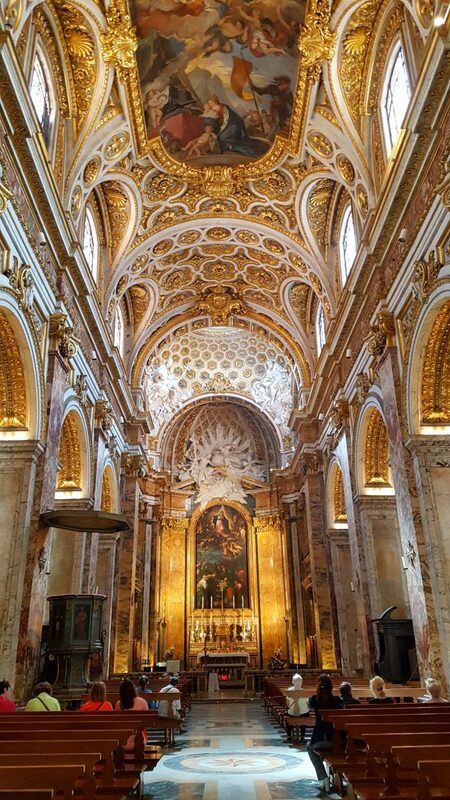 And one the highlights of our tour was when Michele led us to a nondescript church in the middle of Rome (near Piazza Navona), which I normally wouldn’t have entered but inside are intricate works of art such as a painting of the life of St Matthew and also a statue by Michelangelo. This church (you will have to join the tour to know where it is!) is not frequented by tourists at all so it was quite refreshing to enter it without having to weave your way among the crowd. 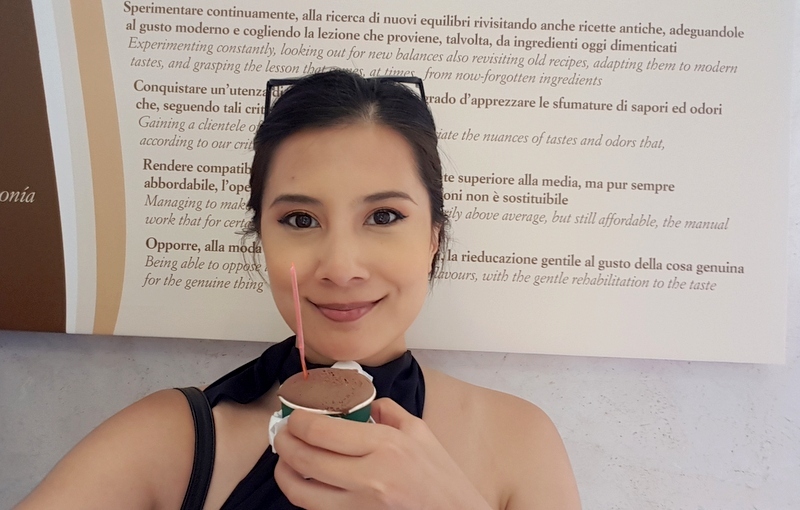 If you’ve been to Rome, you will know that I’m not exaggerating when I say that there’s a Gelateria every few metres (some even next to each other). I have tried about six different Gelaterias when I was there and I can tell you that not every place is great or lives up to its hype. 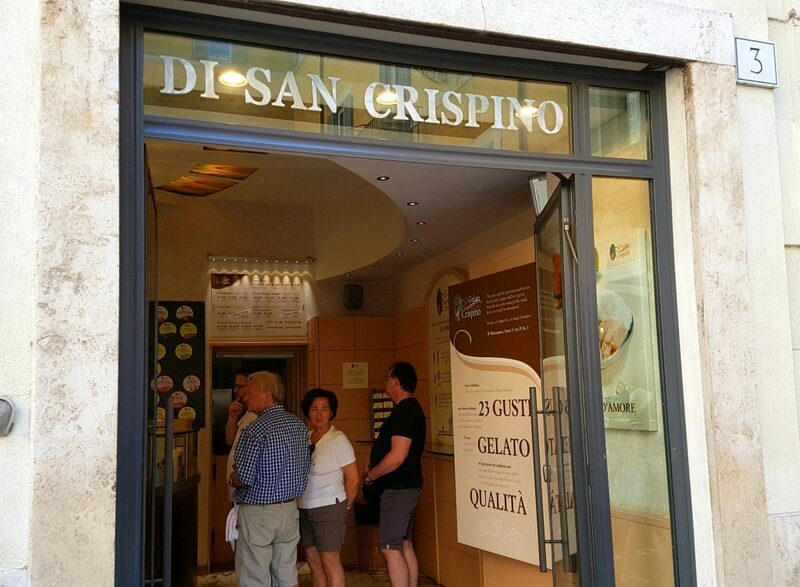 When our guide Michele led us to Il Gelato di San Crispino for a cool stop in the middle of that hot Roman afternoon, I was so pleasantly surprised to find that the quality of their gelato was really smooth and rich, and absolutely topped my choice of gelato during my entire stay. And it was at this point where our tour van picked us up along with our very congenial driver, who took the time to shake all of our hands before ushering us inside the air-conditioned van. 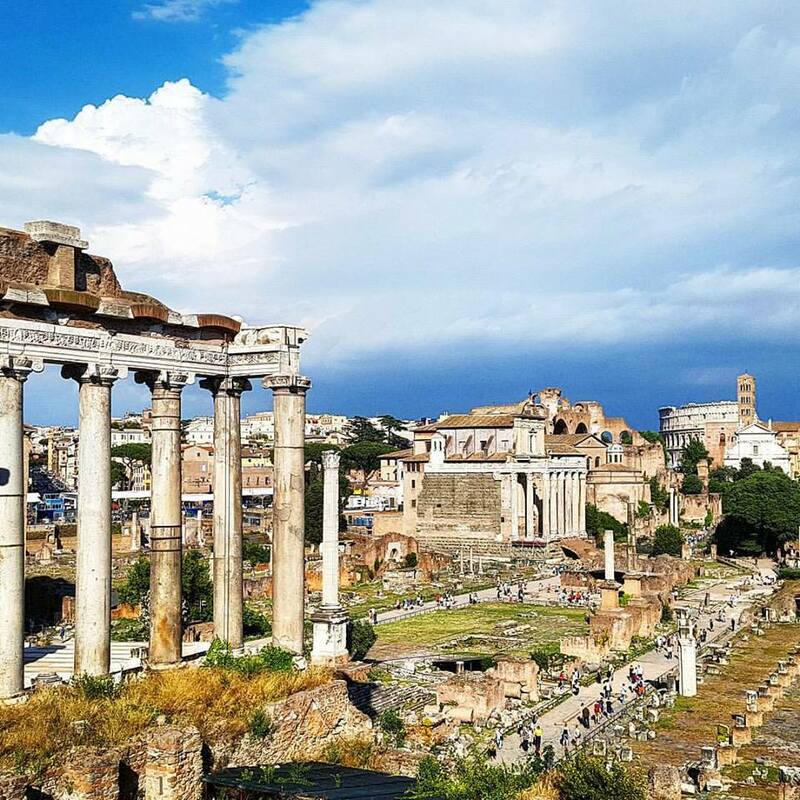 The ultimate advantage of this combined walking and driving tour is that we were able to reach highlights of Rome that are not really within walking reach from the usual clustered highlights in central Rome. 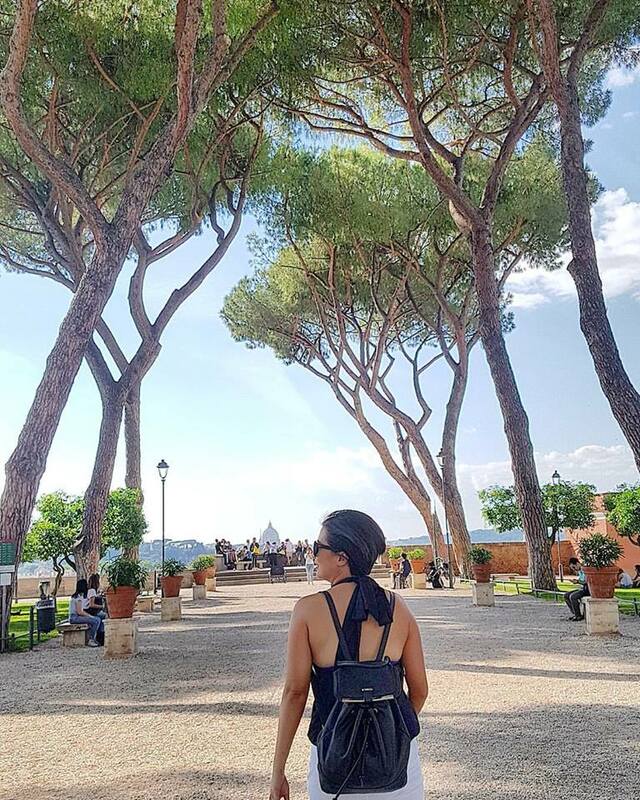 We drove up to Aventine Hill, one of the seven hills that Rome is made up of, and enjoyed a wonderful view of Rome from the lookout point. Aventine Hill was a breath of fresh air as we were away from central Rome (read: tourist crowds). Most of the people in Aventine Hill were locals enjoying an relaxing afternoon away from the tourist hustle. 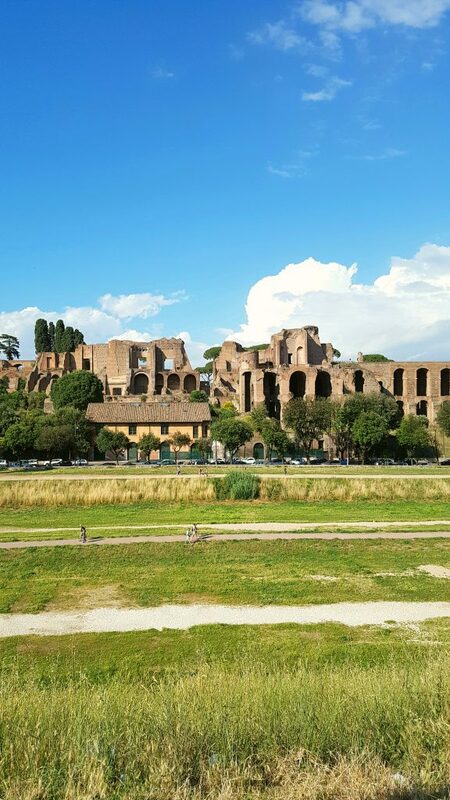 From the Aventine Hill, we headed down to Circus Maximus, which I consider to be the next most impressive historic site next to the Colosseum. This is where the Romans used to hold their chariot races and other forms of entertainment. Today, it is still being used as a concert ground for major events. Then we transferred to the Roman Forum, which now looks like a series of well-preserved relics but was the centre of Roman government. Our second to the last stop is possibly one of the most recognisable and famous fountains in the world, Trevi Fountain. This was my first time to see the fountain as it was under renovation the last two times I’ve been in Rome, and I was amazed to see how large it was in real life. It was under construction for 17 months, and cost around 2.2 million Euros. This was funded and sponsored by Rome-based fashion house Fendi. 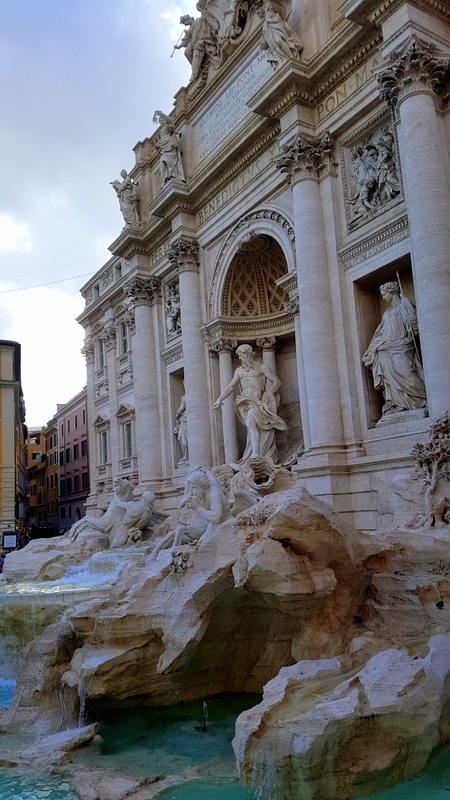 The Trevi Fountain is no doubt astounding and is a must-see in Rome. My tip (and what I wish I did), is to return to the fountain when it’s really early in the morning (around 5 -7 am) as that’s probably the only time you’d be able to enjoy the fountain in near-solitude. Our last stop for the tour was the legendary and iconic Spanish Steps. We arrived late in the afternoon, quite a popular time to visit the steps when both locals and tourists take the time to relax in the steps after a busy day. The crowd’s vibe is quite relaxed, and as our day was winding down, Michele filled us with interesting facts about the Spanish steps. Even though this was my second visit to the Spanish Steps, it was very beneficial to be on a tour as I didn’t know several facts about the steps. 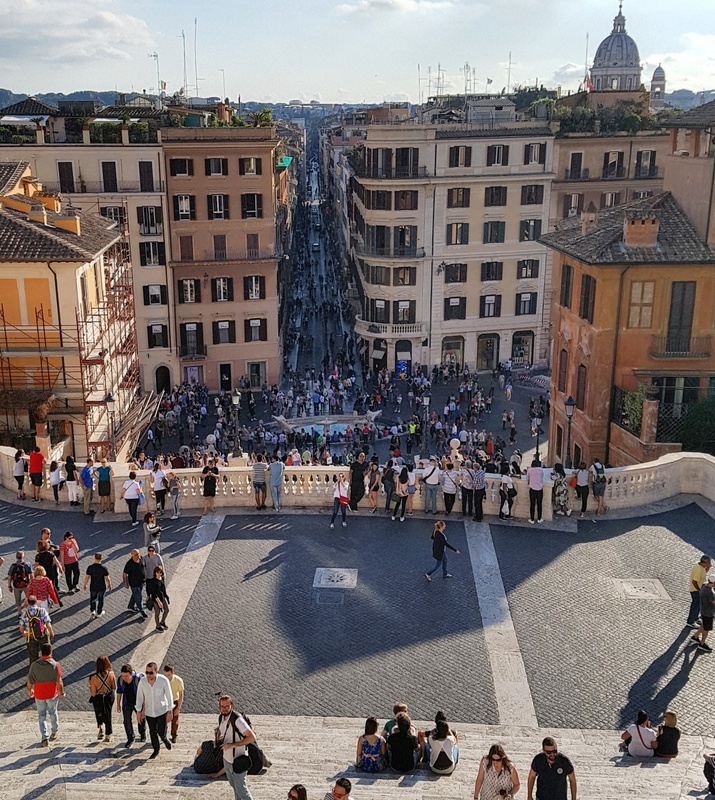 For instance, I didn’t know that the reason behind why it is called as such is due to the proximity of the steps to the original Spanish Embassy, which was located at Piazza di Spagna. This is my second tour with The Roman Guy and no doubt won’t be my last. There’s a reason why I booked a second tour with them after my first Roman Guy food tour experience a couple of years ago. It’s the people that make up The Roman Guy. Booking tours with The Roman Guy is very straightforward and easy. It really is as simple as picking a tour, selecting an available date and time and confirming. After booking, an email is sent with all confirmation details – including very specific directions how to get to the meeting place, meeting time, tour guide information, and all other necessary details (like what to bring, etc). There were times I did have additional questions about the tour and those times that I emailed them with my queries, I always got a prompt and friendly response. It’s not like those huge tour booking sites where you feel like your extra queries will fall into the depths of bot or spam-dom (and get a reply in like 48 hours). With The Roman Guy, I always received a reply within the day. On the two separate tours I did with The Roman Guy, both guides are passionate, young and bilingual at the very least. And when I say bilingual, they speak both English and Italian with great proficiency. For instance, Michele our guide in this specific tour, is half-American, half-Italian and lives in Rome, so he is both a native speaker of English and Italian. Michele also had an unbelievable passion for Italian history and culture. He has evident love for the country he lives in and it shows with the way he speaks and the vast information he has. No memorised or rehearsed lines, he spoke from personal experience and knowledge. It’s one thing to have passion and information, but it’s also on thing to have a commanding presence, a very important quality a tour guide should have, which Michele possessed. 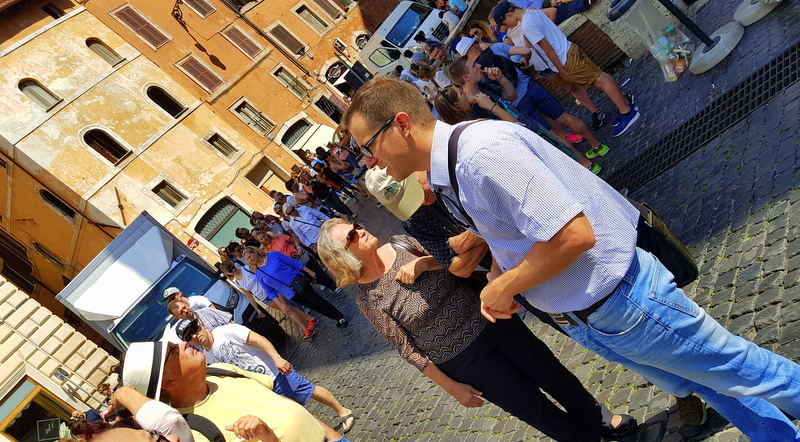 Especially in a city as tourist-laden as Rome, it really helped that Michele knew to lead our group and deliver information in an effective way. 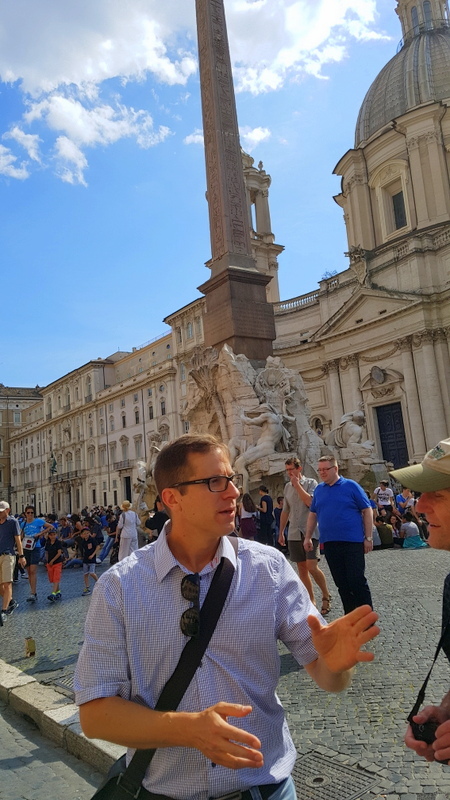 I personally don’t know any Rome locals to show me around, but whenever I book tours and liaise with The Roman Guy, I feel like I have a local contact that provides and shows me insider information and sights that other Rome tours don’t. Book your Roman Guy tour in Italy now. It seems an experience with The Roman Guy is unforgettable.